Here’s another item I made this year, but failed to blog about. 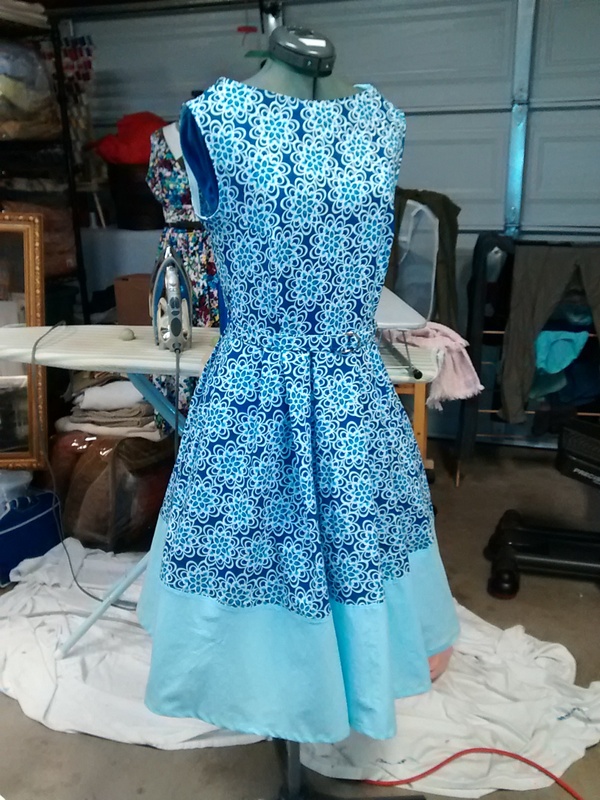 This dress started with the fabric. I bought a three yard remnant with vague ideas of making a dress from it. 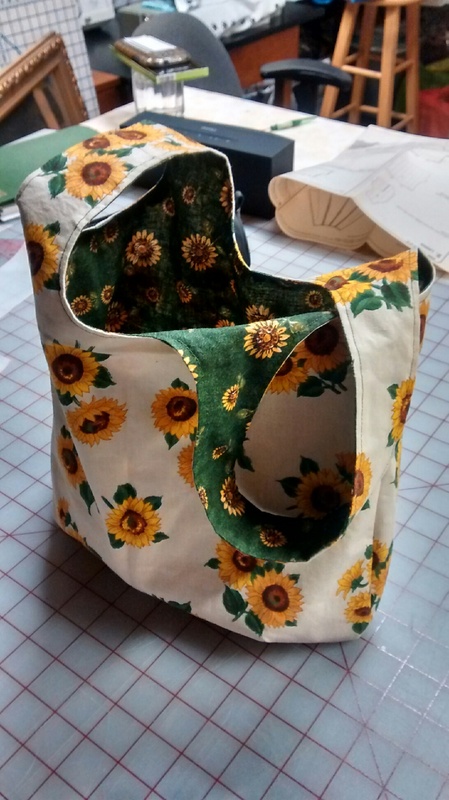 When it came down to actually making it I quickly realized that I didn’t have enough fabric. Color blocking seemed the obvious solution. I went with a lighter shade from the print to keep it lighter for the late summer wedding I’d wear it to. I wanted a fuller skirt, but longer than any pattern I had. 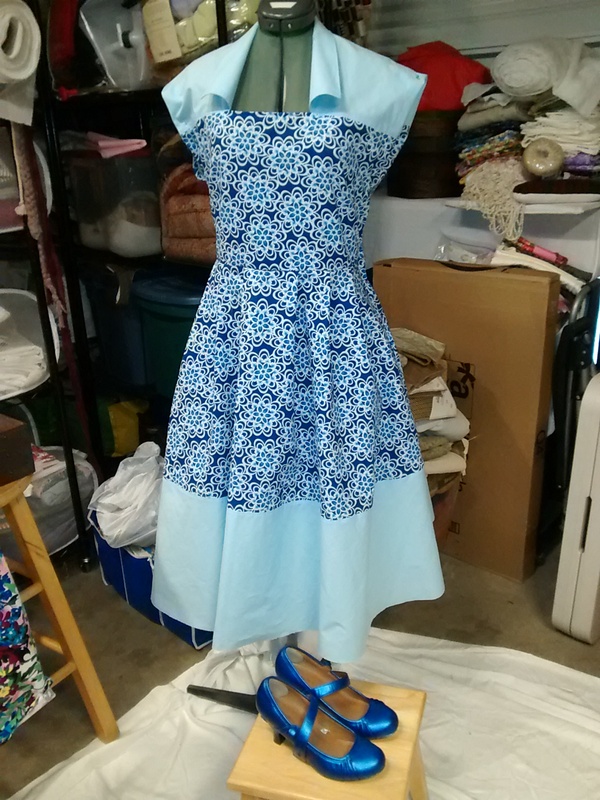 I settled on an original 40s dress bodice and a reproduction ’61 dress skirt, lengthened. The bodice had a back zip and the skirt a size zip, so I’d move the skirt’s to the side and still managed to put pockets in. Every skirt needs pockets. I did a mock up in a flimsy, ghastly, mustard cotton and it looked like things were going about to plan. Then things went wrong. 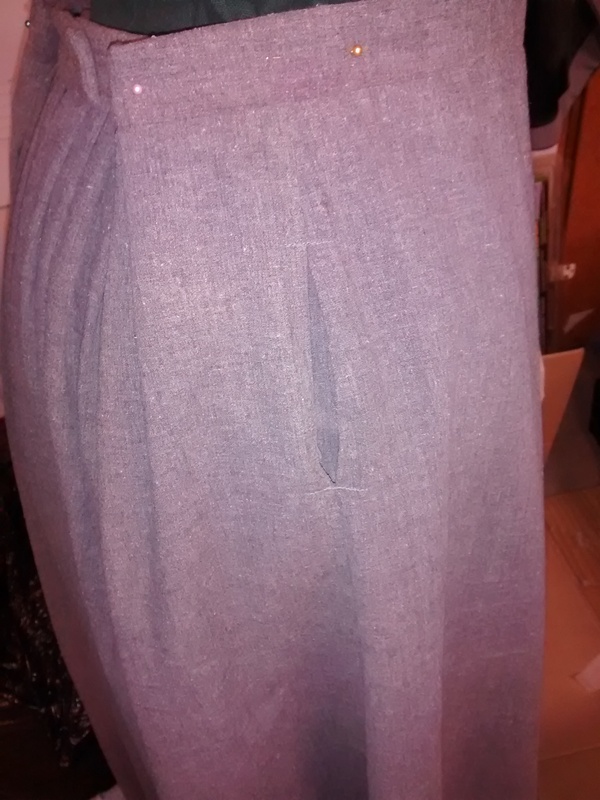 The 40s bodice had an obvious spot to color block, the yoke and collar were one piece, so I’d do that and the bottom 1/3 of the skirt in the solid light blue. 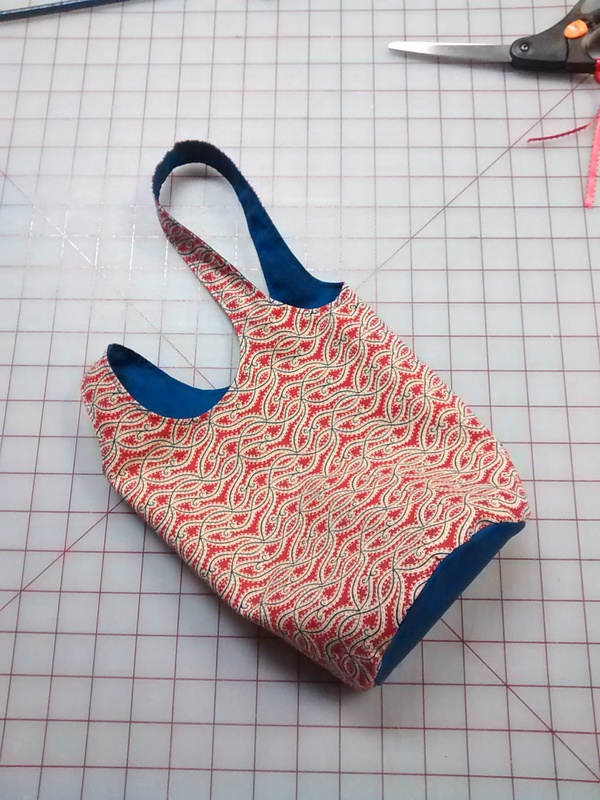 What I didn’t realize, even after the mock up, was that the way the arm holes of the bodice were cut, which allows for quick construction and was fairly shape confirming in wimpy cotton, would be stiff and look at least one size too large when made in two layers sturdier fabric. It was almost done and I hated it. Hated it. 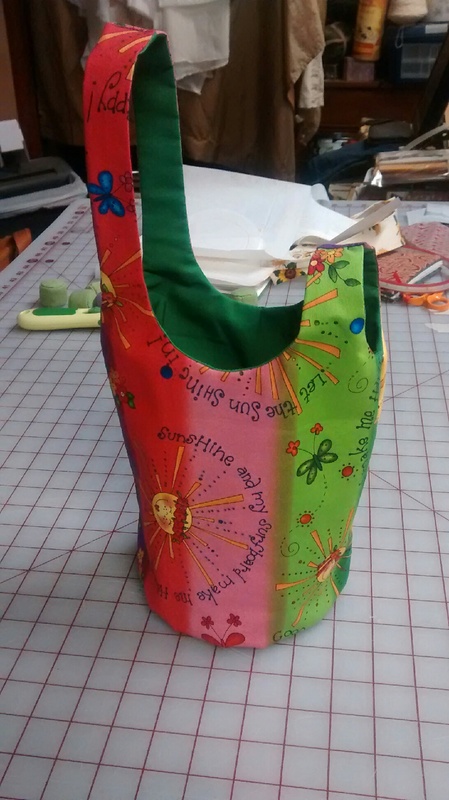 It was frumpy on me and the extra fabric under the arms didn’t help. What I should have done was cut the yoke in the print and done the fold over collar portion in the light blue. Then I would have merely been disappointed with the arm hole fit. It was one day before the wedding and I couldn’t wear it the way it was. Thereafter ensured a flurry of seam ripping to get the maximum possible fabric (ripping all of the top stitching so I could iron out every millimeter of the main torso pieces) and fiddling, this way and that, with what I had left. 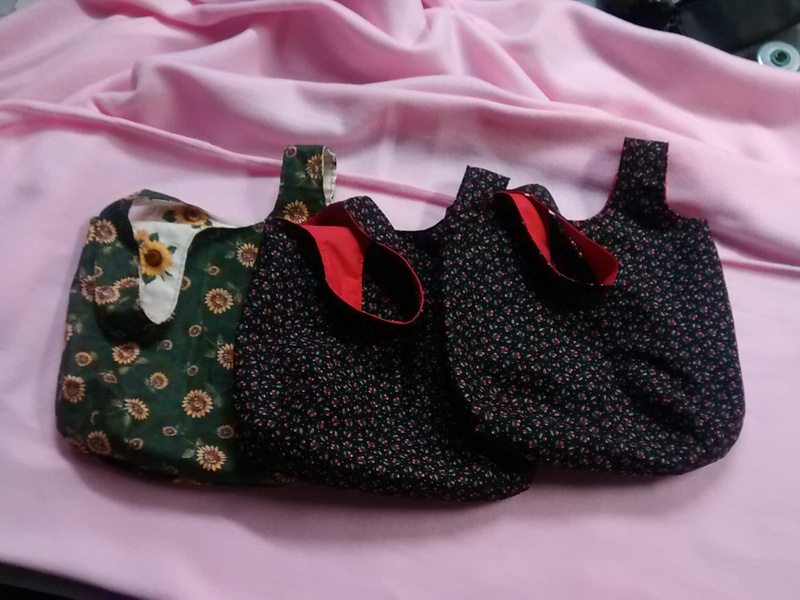 The pockets has taken up too much fabric because I tried to hang them from the waist seam inside. 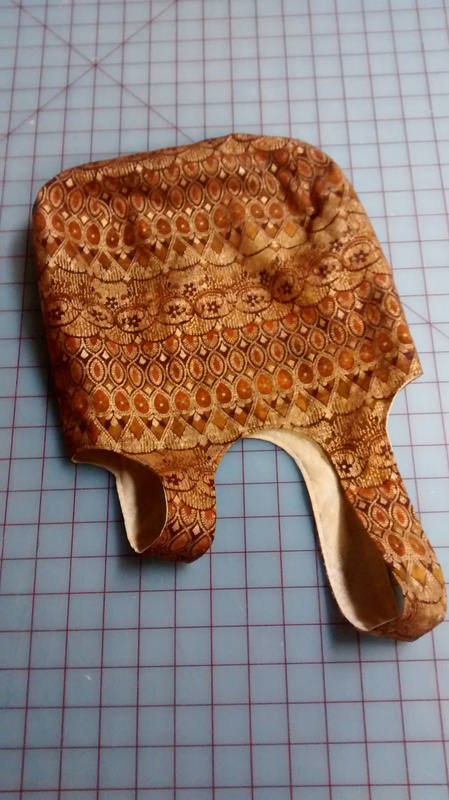 Ultimately this wouldn’t work and I’d cut them way back, thereby waisting a bunch of the print fabric. Grrr. I had absolutely nothing extra and no pieces that would cover the length of my torso, front and back. So it would be a yoke after all. But how would I make the color blocking tie in? 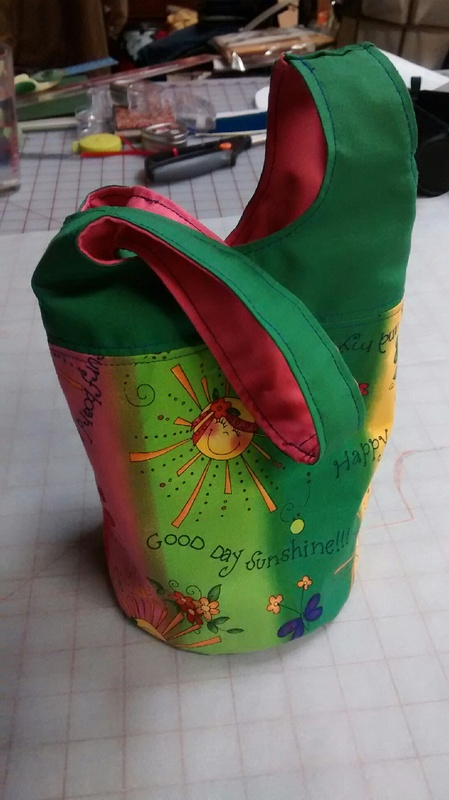 I tried several patterns in my stash and nothing quite worked. The 40s pattern was too shapeless, meaning that no other arm hole would work with the way the fabric had been cut. 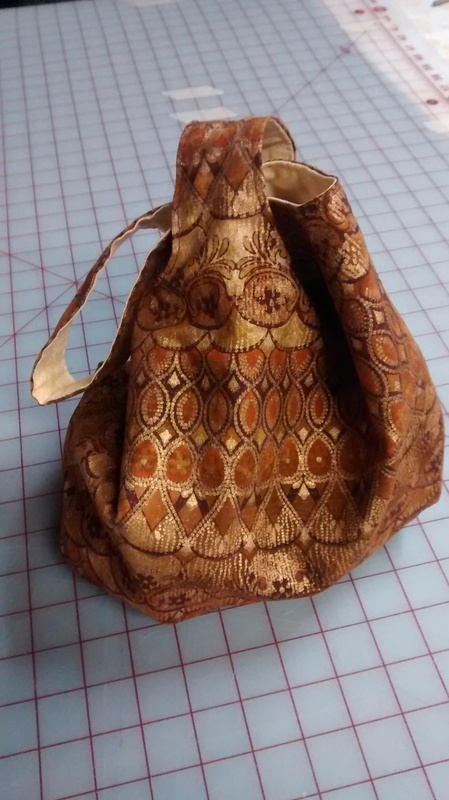 The only solution was an entirely new bodice. 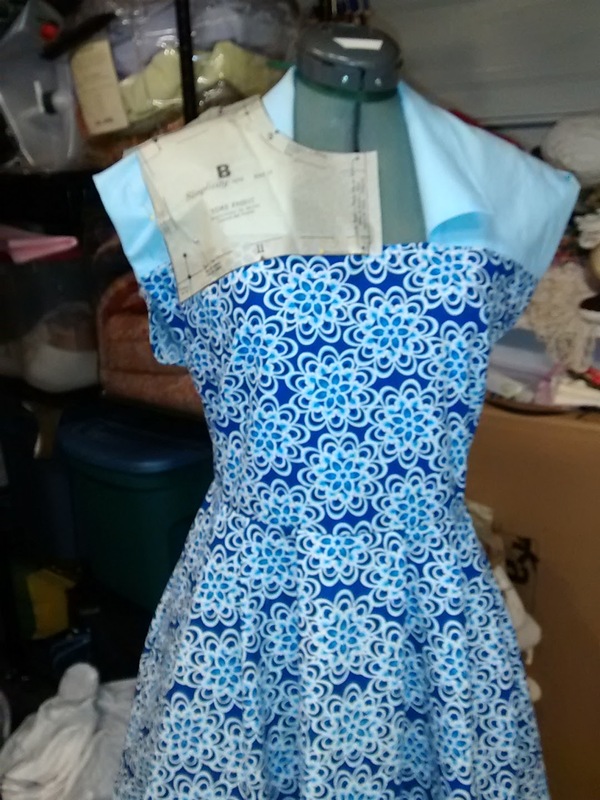 I didn’t have a plain basic bodice pattern in my size. I had to make one, fitting it with my husband’s assistance (which mostly involved him taking pics so I could see what was going on). I turned the bottom half of the originally cut bodice sideways and with one decently sized scrap came up with a single piece full front piece. While trying to get the mock-up on I simply cut a slit down the back, from the neck hole, thinking I’d decide on the neck shape once it was on me. That’s when the ah-ha moment happened. The slit could stay, faced with the light blue to match the skirt’s color blocking. From there it was just a matter of binding the arm holes, stitching down the lining inside the yoke, attaching the bodice and skirt, putting in the zip, trimming off three inches of the bottom of the skirt (because the length of the 40s skirt really looked so much better in sturdy cotton) and hemming. Oh, and make a narrow self-fabric belt. Finished just in time, I wore it with a full tulle underskirt and self painted, fabulous, blue heels, but those are another post. Usually I make a big deal for Halloween. The house gets decked in its bi-yearly theme (witches) for one night. All the monsters come out, revolting amounts of candy are handed over and much coffee is consumed by dedicated parents. This year, however, the Rogues were sewing and doing a final fitting until 4pm. Here’s what we made. A Victorian costume, complete with corset, walking skirt, apron over-skirt and tailcoat jacket. 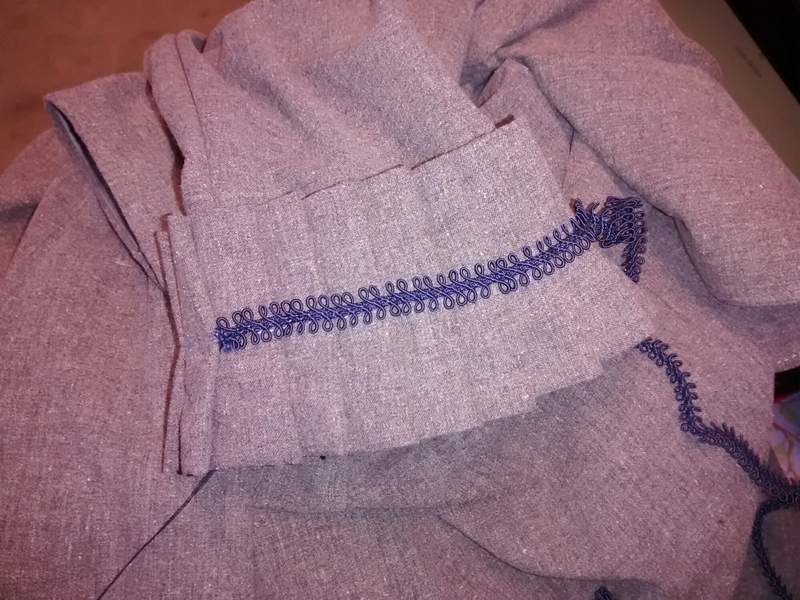 The majority of the costume is a heathered gray cotton of mid-weight with trim in blue poly satin and some matching blue braid. The tailcoat is based on a tailcoat vest I made for a previous Halloween costume, which was based on a simple princess seamed vest pattern. The overskirt is a 1871 pattern from Truly Victorian, which we changed to be reversible (gray on the other side), the skirt is based on an 1895 skirt and includes period accurate pockets! They hang inside from one central point and are accessed by a slit in their center. The piece you aren’t seeing is the under bust corset, which can be found here. I’m pretty happy with the way the tails hang gracefully. The decision not to line them was a good one. I think they would have looked to heavy. 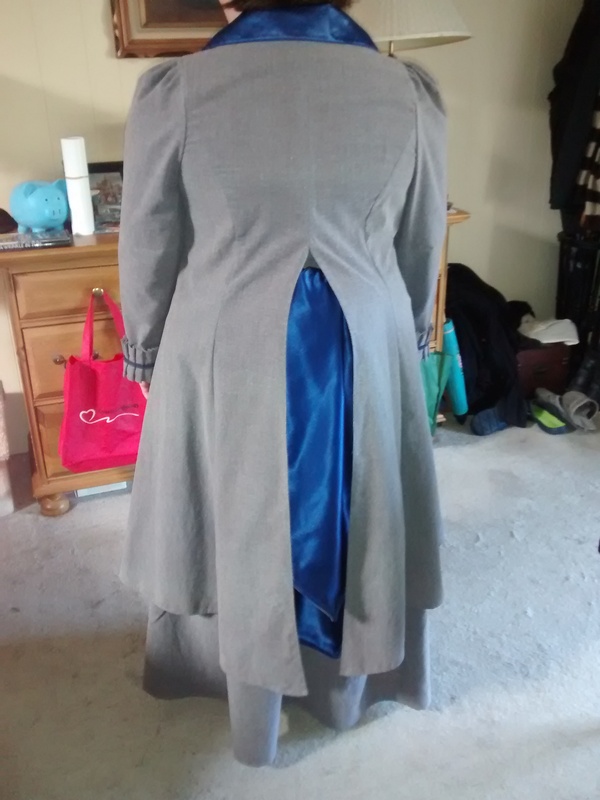 The front of the coat will hang better without the overskirt beneath it. 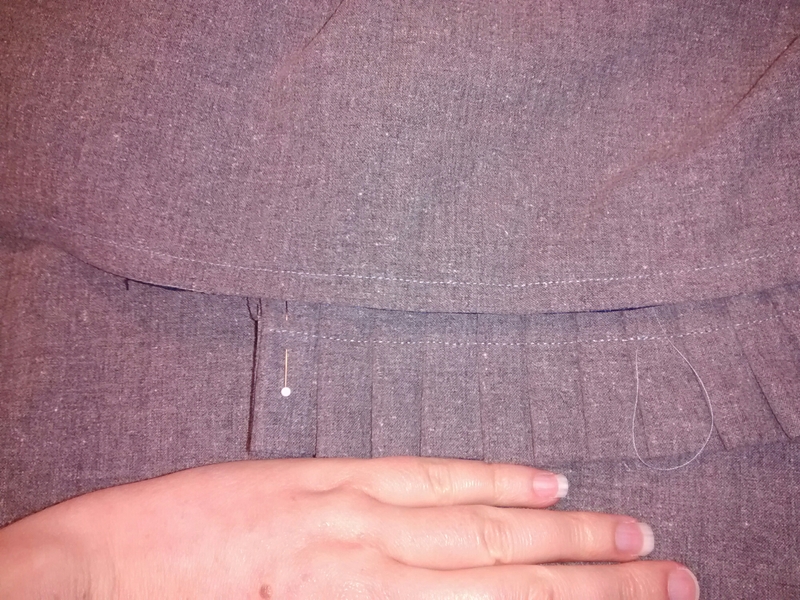 The other part I’m particularly pleased with is the trim on the sleeve cuffs and apron hem. It’s the same gray as the general ensemble, pleated. 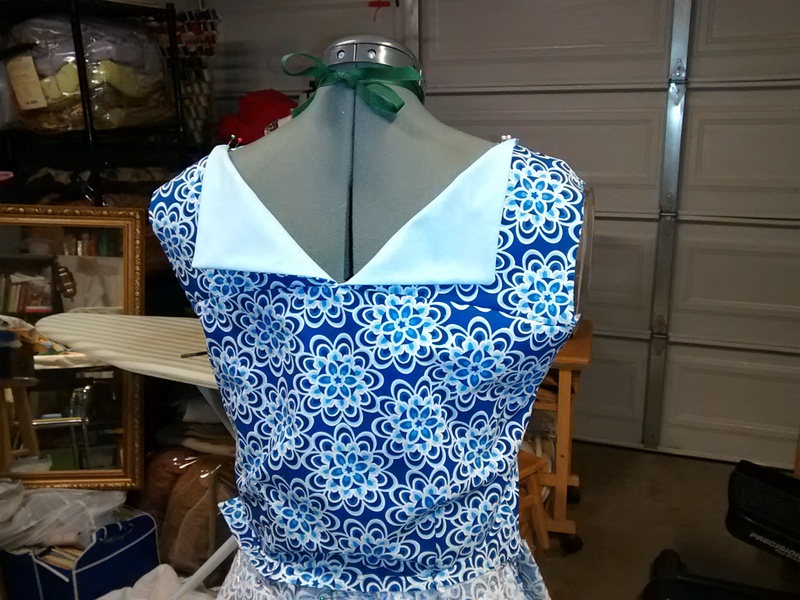 I was initially going to put a strip of blue fabric over the seam of the cuffs, but happily found that nice blue trim. This was a fast project and there were lesions learned about fitting, allowances that must be made for corsetry (we almost always steampunk and wear out unmentionables on the outside), equipment limitations, the squirelieness of satin, and timing. 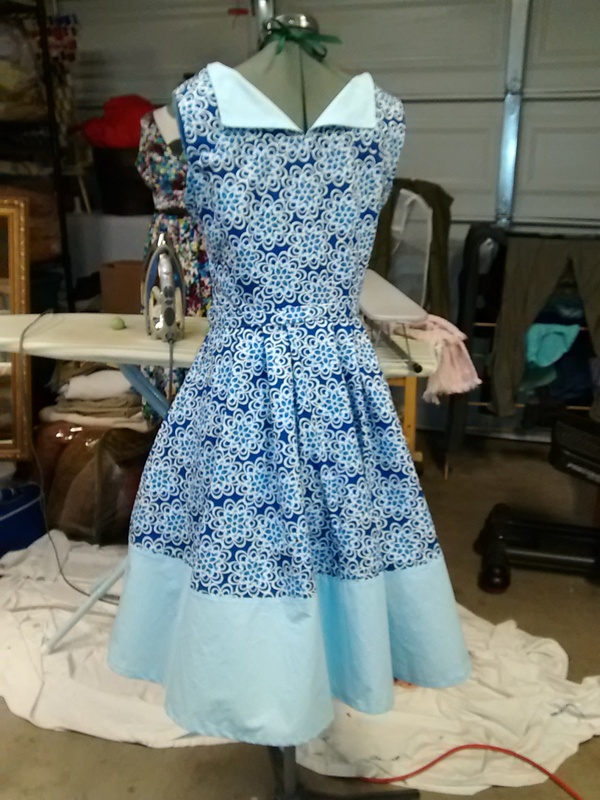 In the future we would like to make some small adjustments to the apron to make it truly reversible, add some blue braid trim to it’s ruffle and probably make an alteration to the skirt. And that’s not all. 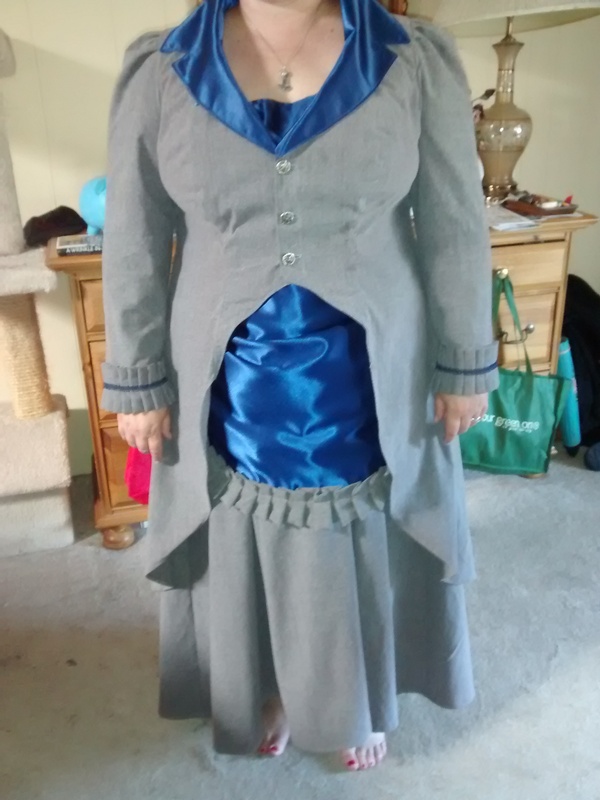 We also did some tailoring to the lady’s husband’s Victorian ensemble; adding pockets to his vest, hidden pockets to his tailcoat and Henning the pants. I’m sure they were quite a pair.